LaNeve: "Obviously, we can't let the dealers just sit on the inventory. We'll keep them competitive on incentives." DETROIT -- As Ford Motor Co.'s car cull takes effect, its dealer network will have to figure out how to sell any remaining Blue Oval-badged sedans without the help of national advertising campaigns. Ford has ended all nationwide, or Tier 1, marketing for the Fiesta, Focus, Fusion and Taurus and also is dialing back regional spending in certain markets -- even though the Fusion will remain in showrooms for at least the next two years. Mark LaNeve, Ford's vice president of U.S. marketing, sales and service, said the automaker plans to redeploy that money on vehicles such as the Mustang, EcoSport and a slew of next-generation utilities coming by the end of the decade. "It allows us to focus our resources," LaNeve said in an interview Tuesday. "If we can take that money from sedans, where we have a middle-of-the-road position, to be the leading brand in SUVs, that'd be a really good position." The company's August sales results suggest it's the right move, executives say. The Ford brand's car sales dropped 21 percent last month, while pickup and van sales rose 5.9 percent and utility-vehicle sales jumped 20 percent. Mustang sales jumped 35 percent as it continues to dominate the pony-car segment. "We clearly have the right strategy," LaNeve said. While Ford already has stopped building the North American version of the Focus and will end production of the Fiesta and Taurus by the middle of next year, the Fusion faces a much slower death. Executives have said only that the Fusion will stick around for at least a couple more years. Bloomberg has reported that the company is developing a sport wagon version to compete with brands such as Subaru, starting in the early 2020s. 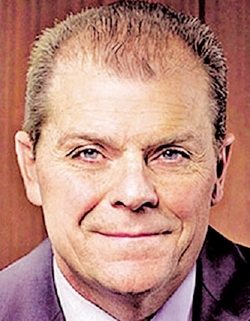 Although the Fusion will get no help through national ads, LaNeve said Ford still will support sales of the car with incentives for dealers to offer. "Obviously, we can't let the dealers just sit on the inventory," he said. "We'll keep them competitive on incentives, but we're certainly not spending money there in a way where we'd be driving the market. We're accepting the share we've got."